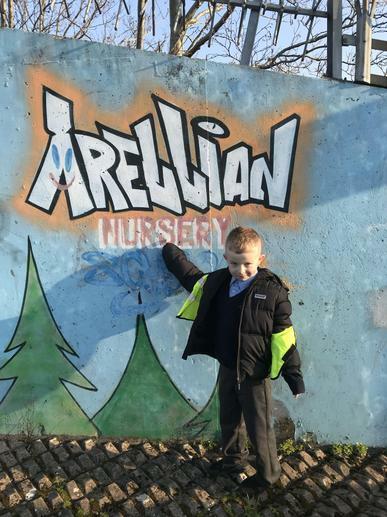 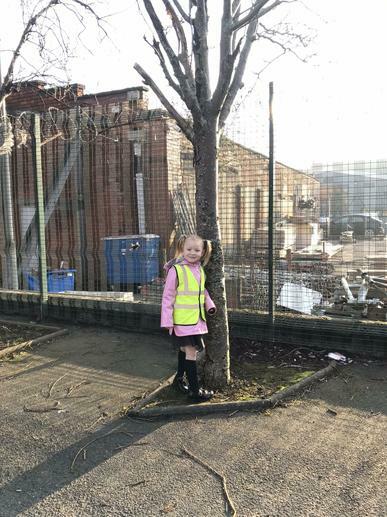 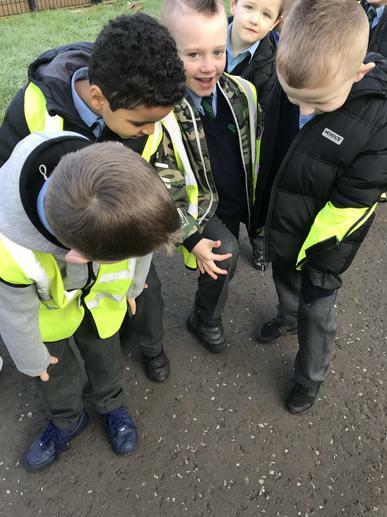 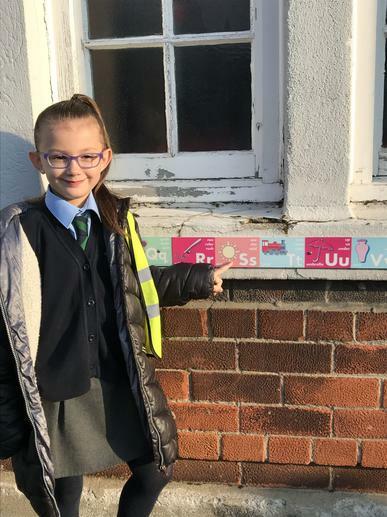 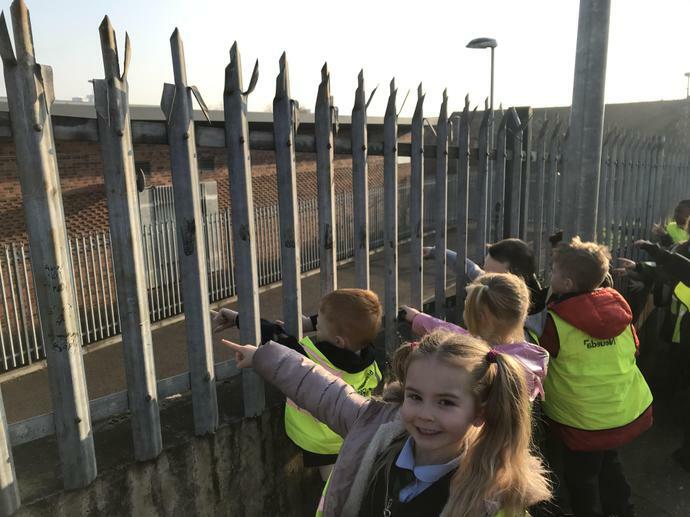 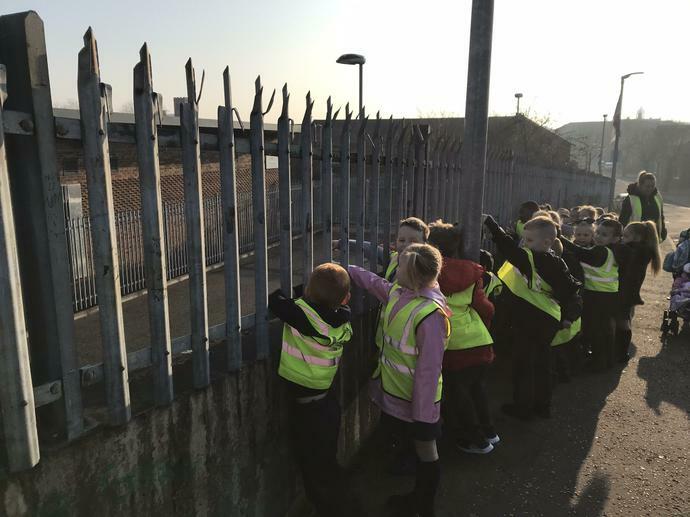 We love spotting letters, looking for places and items that begin with certain sounds and spotting things that rhyme on our daily mile! 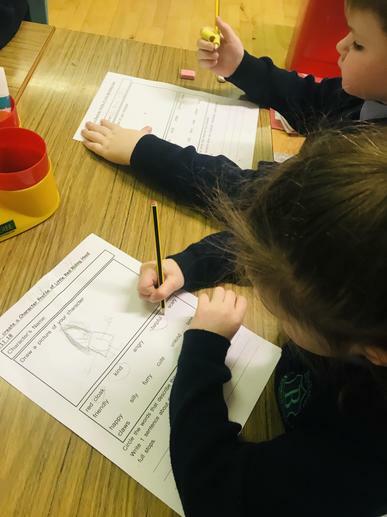 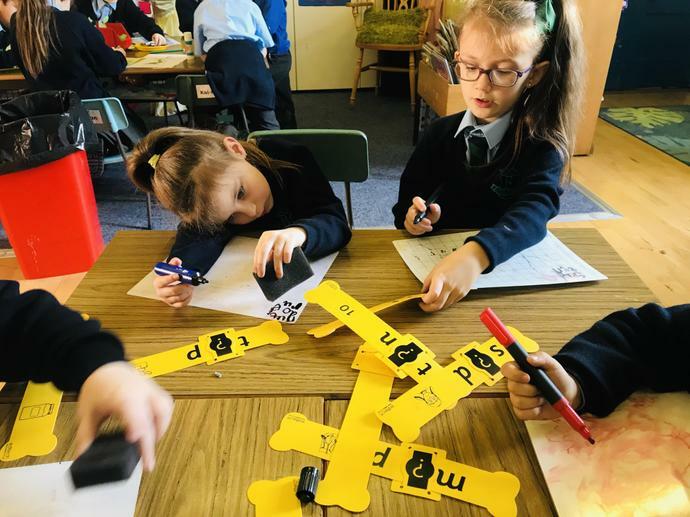 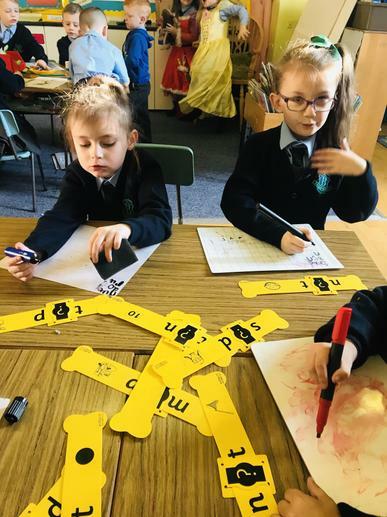 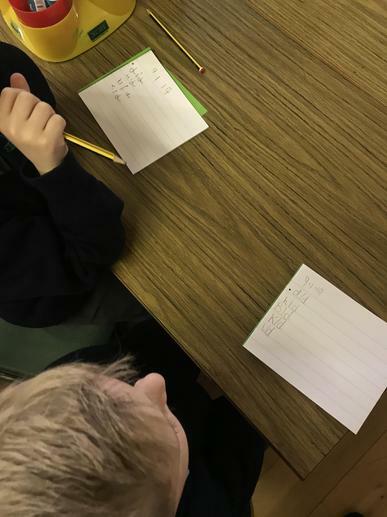 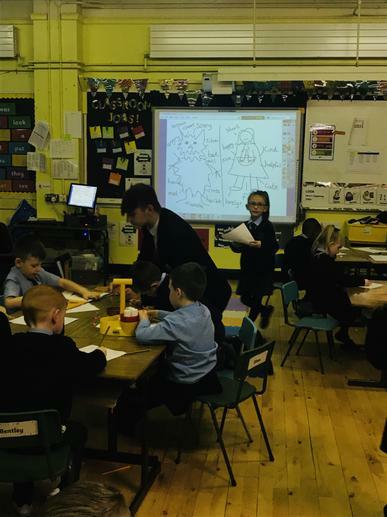 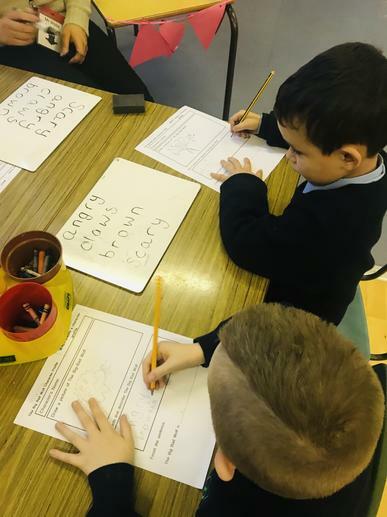 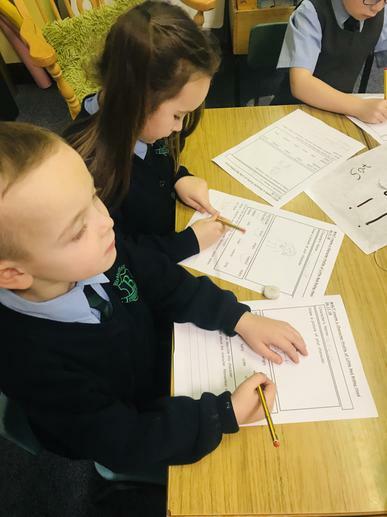 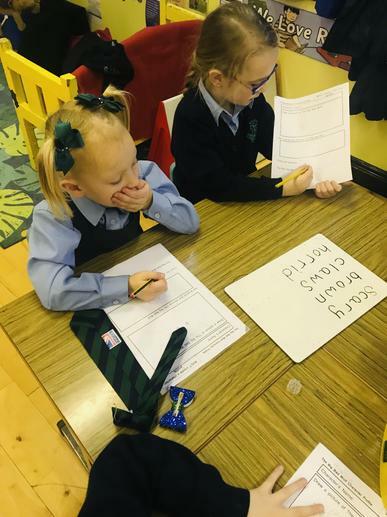 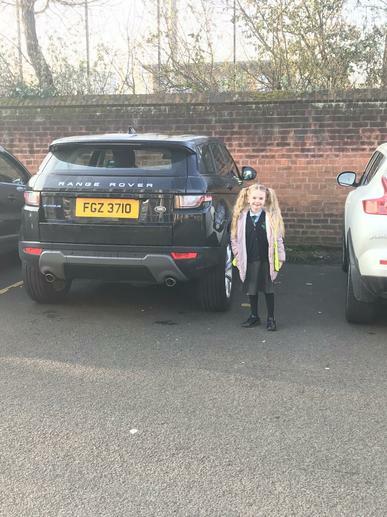 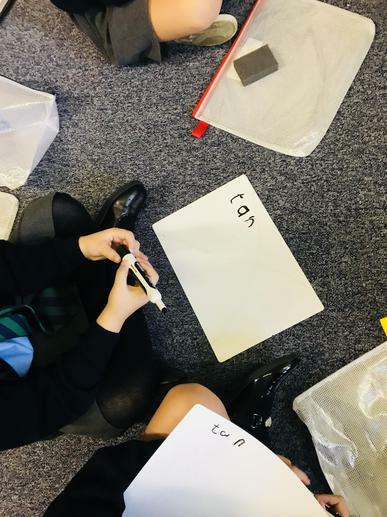 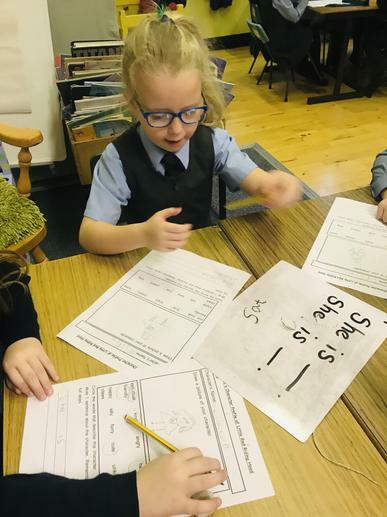 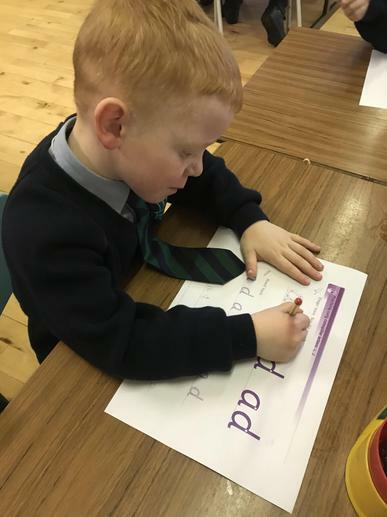 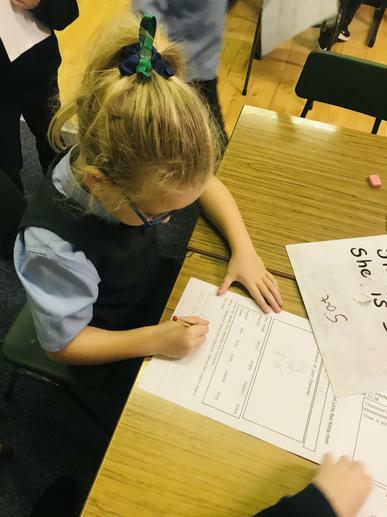 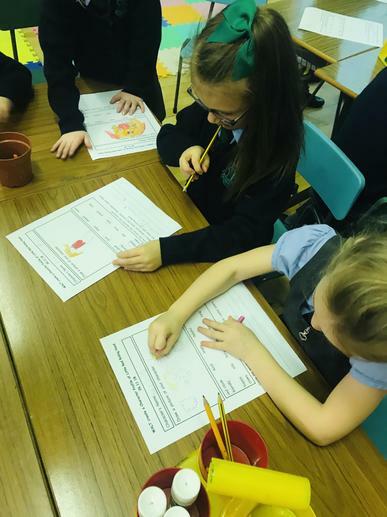 P2 have been testing their knowledge of CVC words and completing spelling tests. 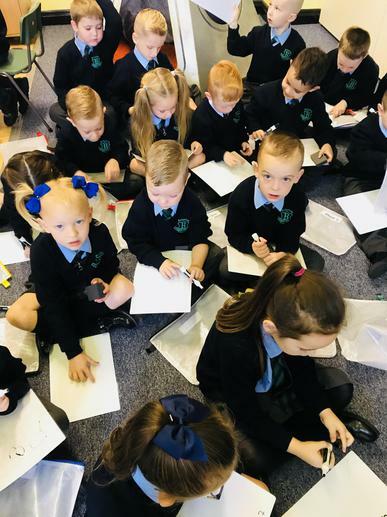 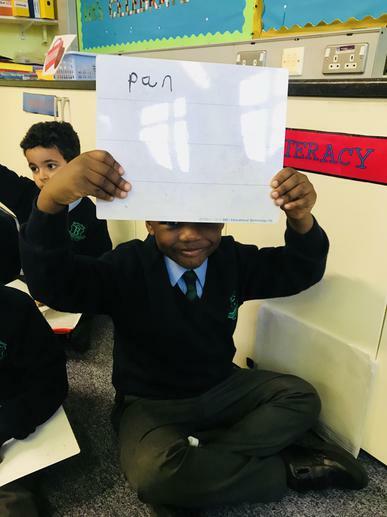 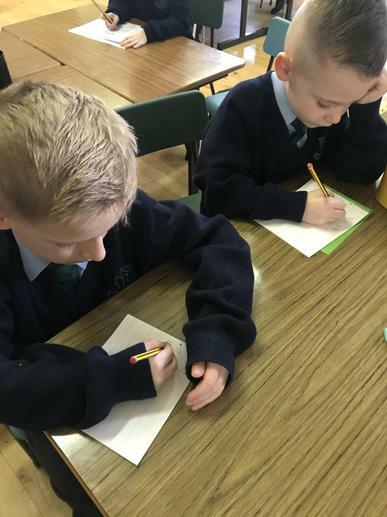 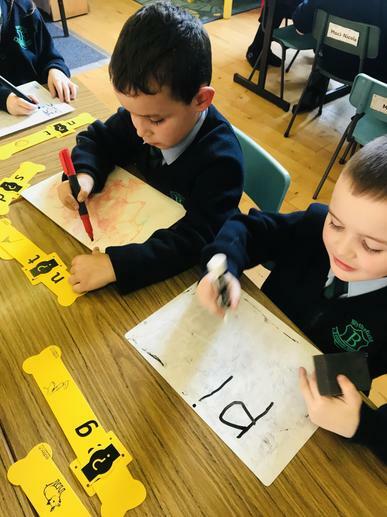 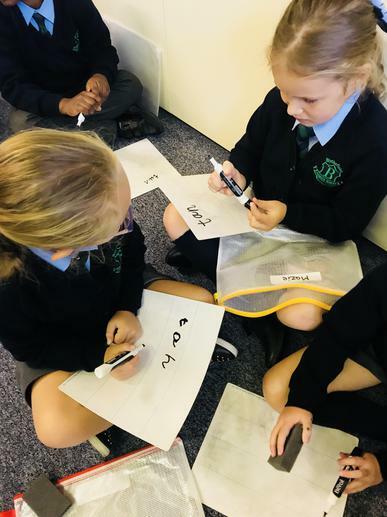 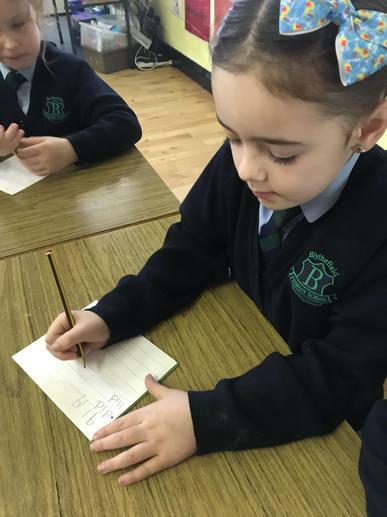 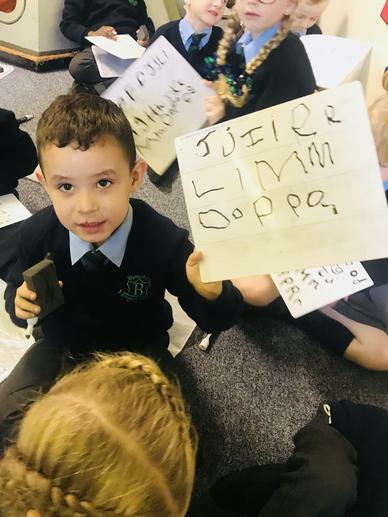 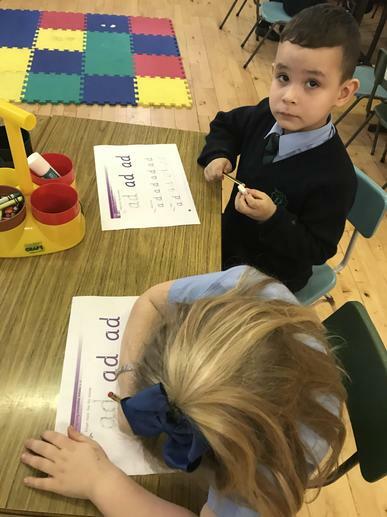 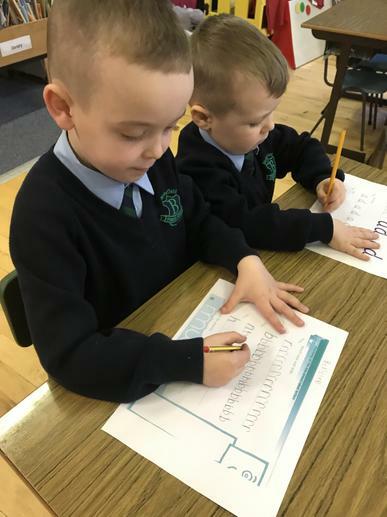 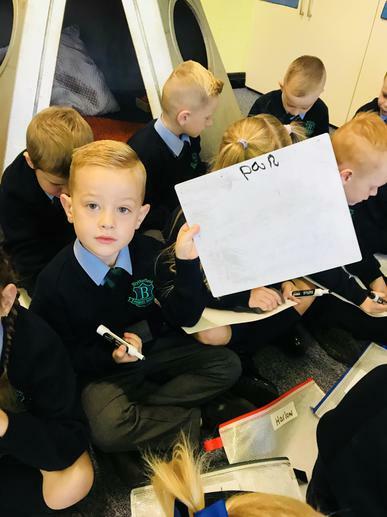 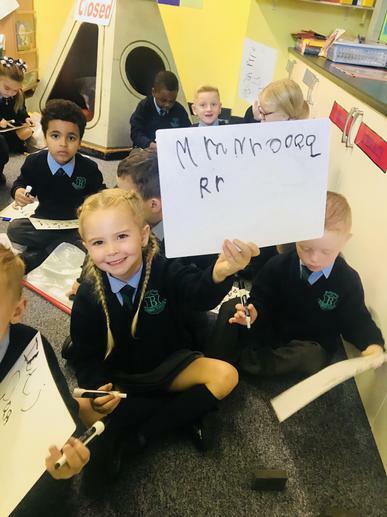 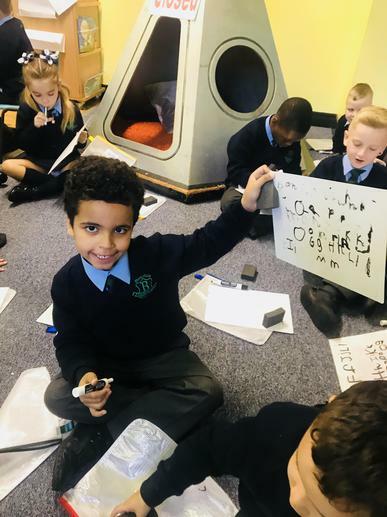 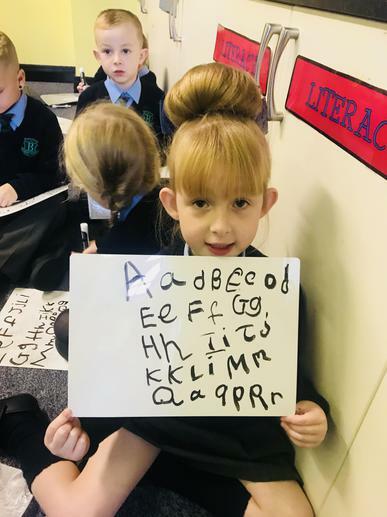 They have also worked hard on their handwriting! 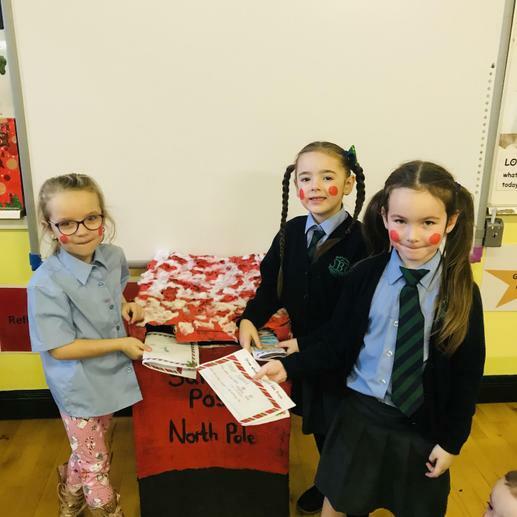 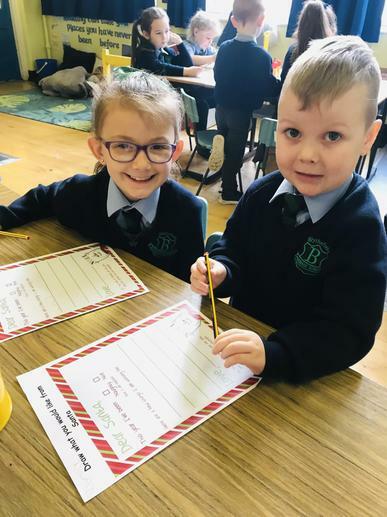 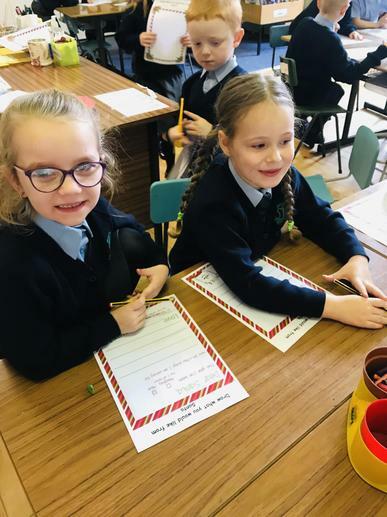 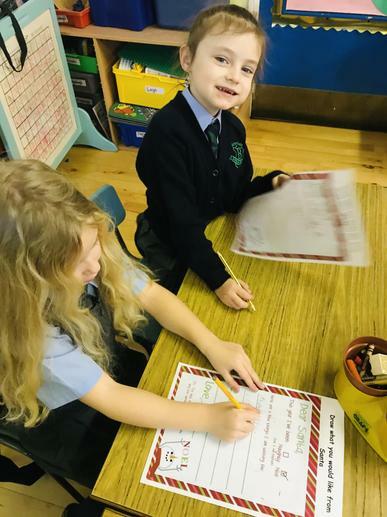 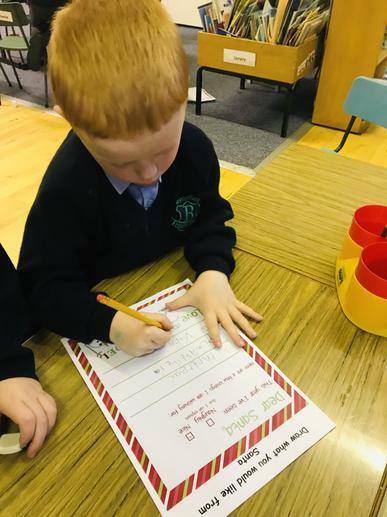 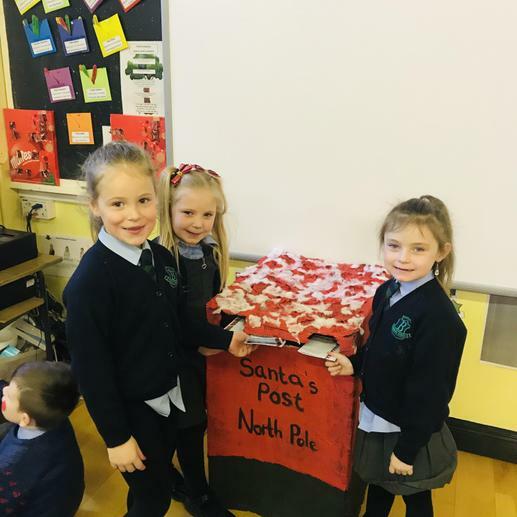 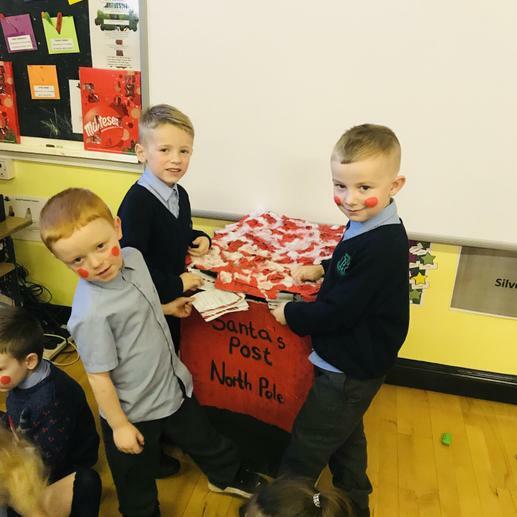 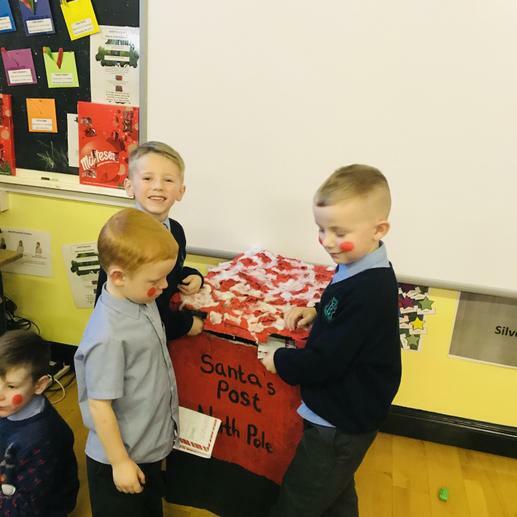 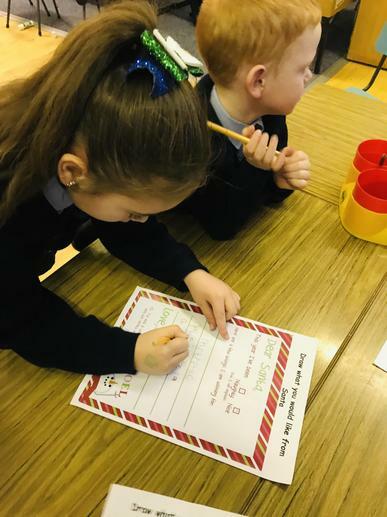 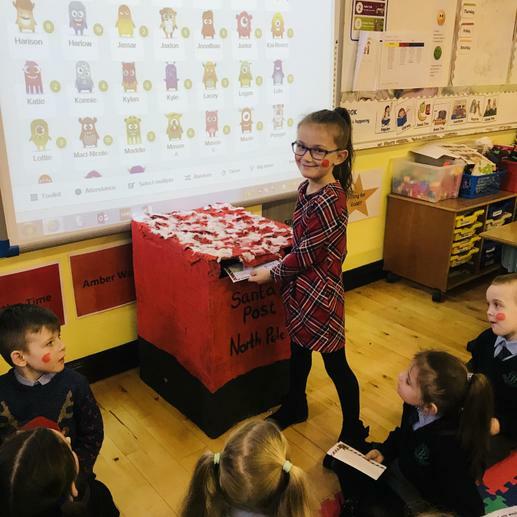 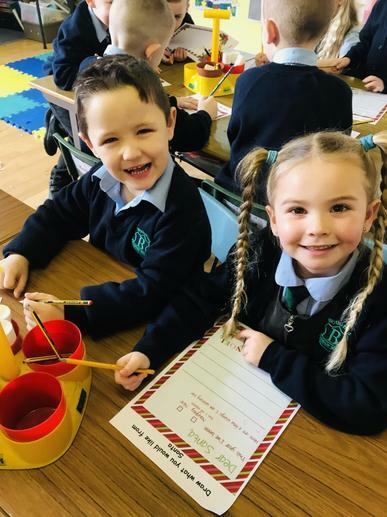 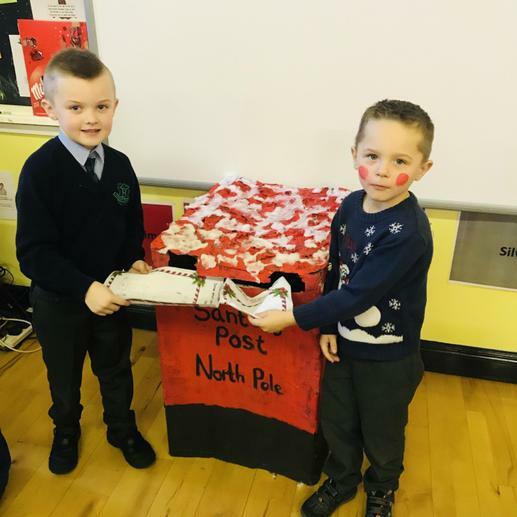 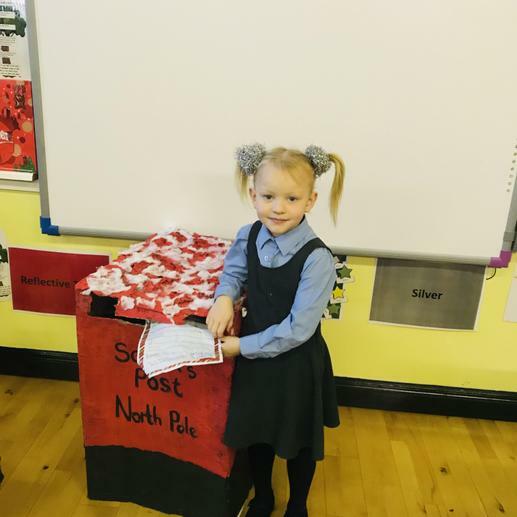 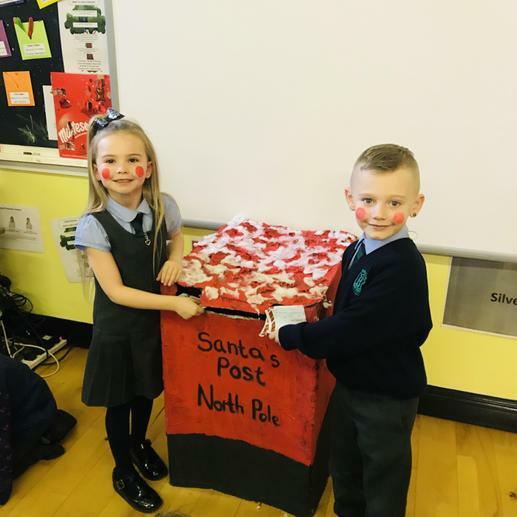 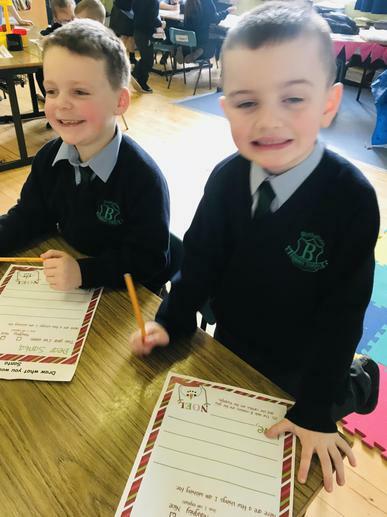 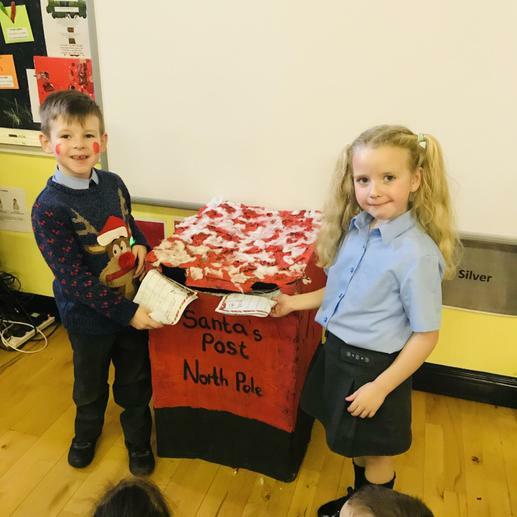 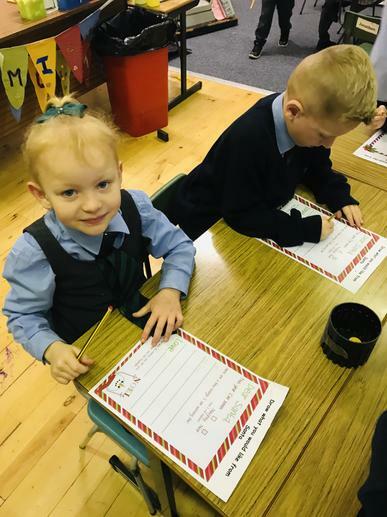 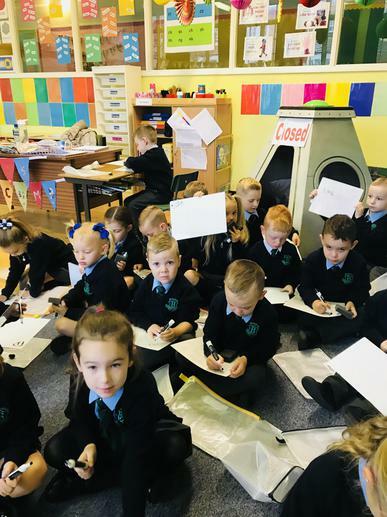 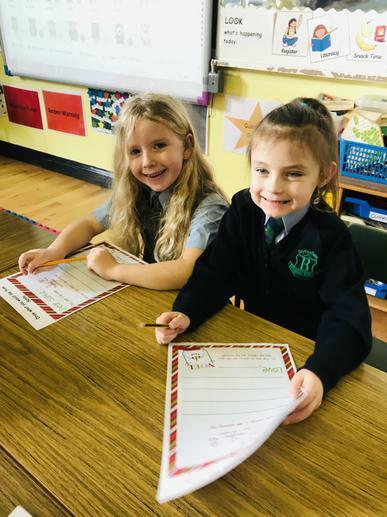 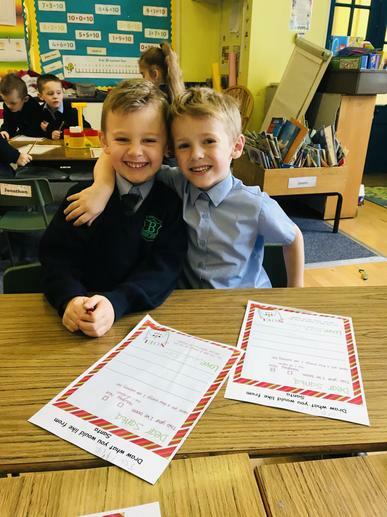 Primary Two have been getting into the Christmas spirit and wrote their letters to Santa. 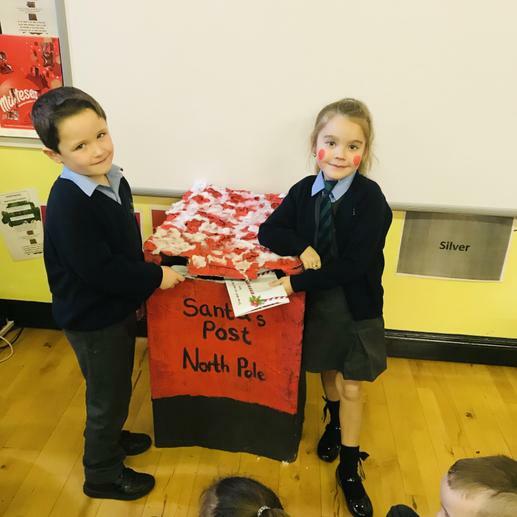 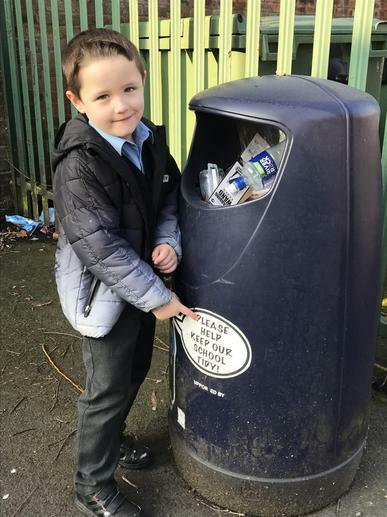 We then posted these in our school postbox. 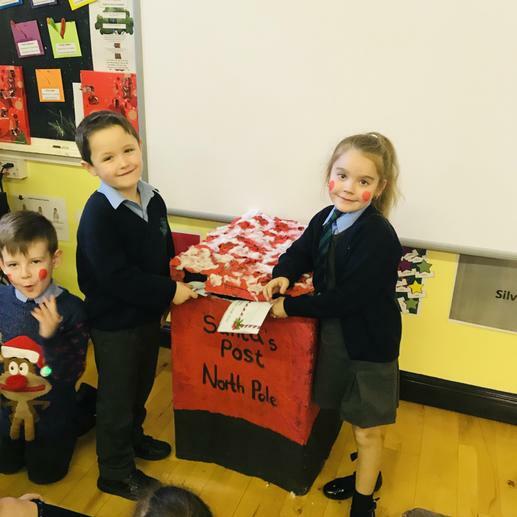 We have all been very good boys and girls. 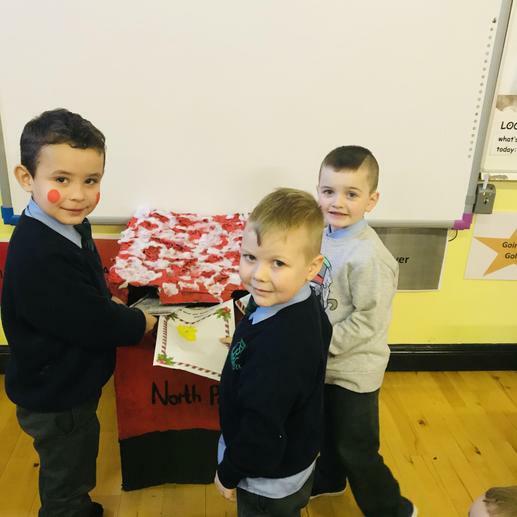 We have been looking at the story Little Red Riding Hood. 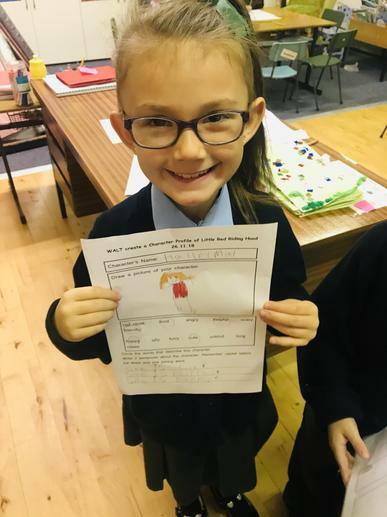 We created character profiles and described our characters using interesting adjectives. 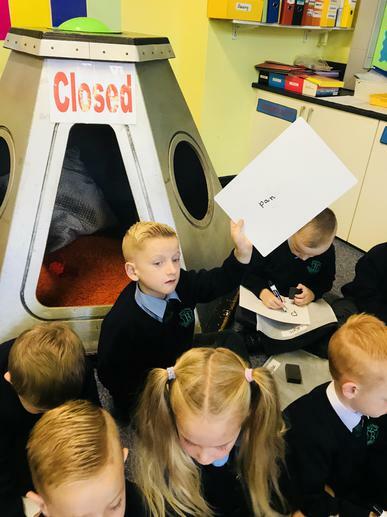 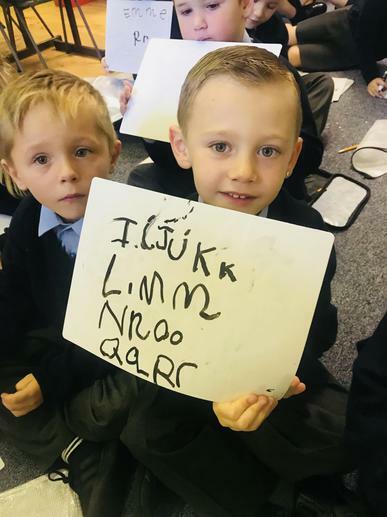 We have been sounding out and blending our CVC words to help our spelling. 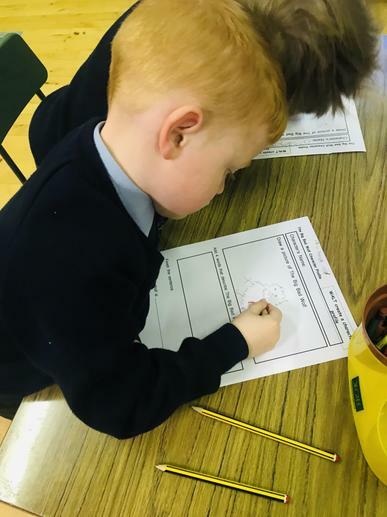 We enjoy doing this during our play based learning. 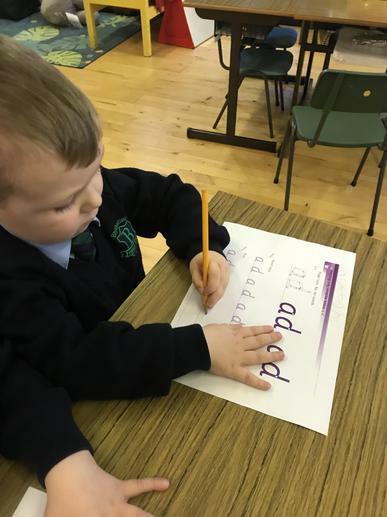 We are practicing our lower case and uppercase letters. 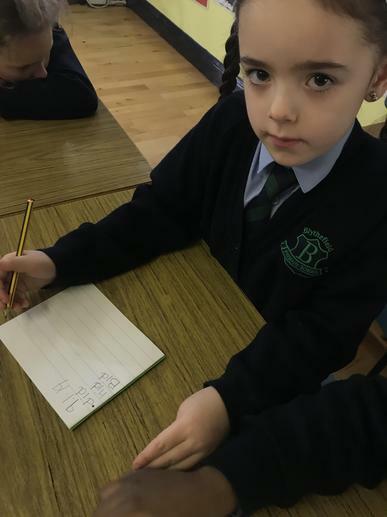 We know that we always begin a sentence with a capital letter. 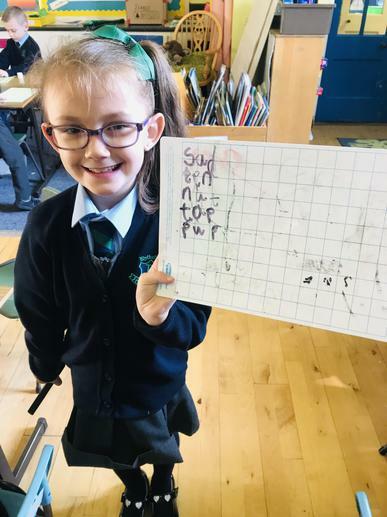 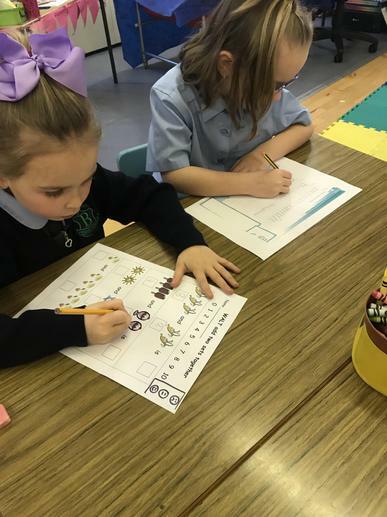 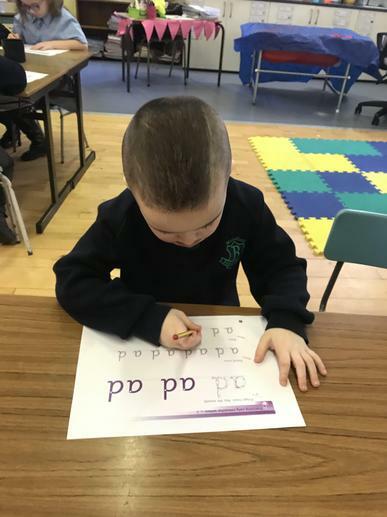 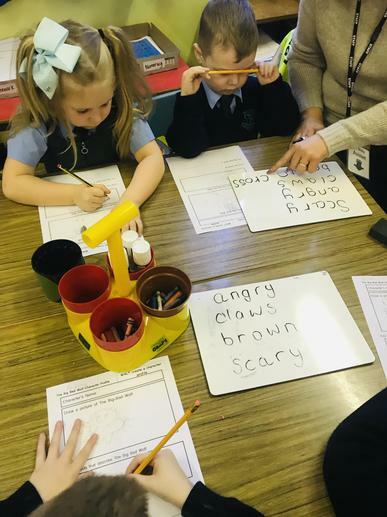 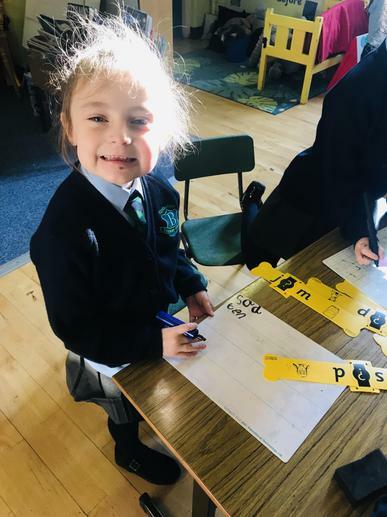 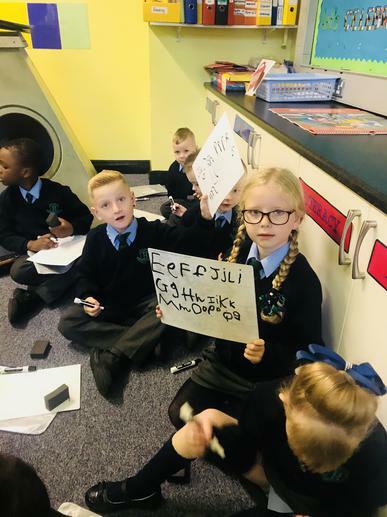 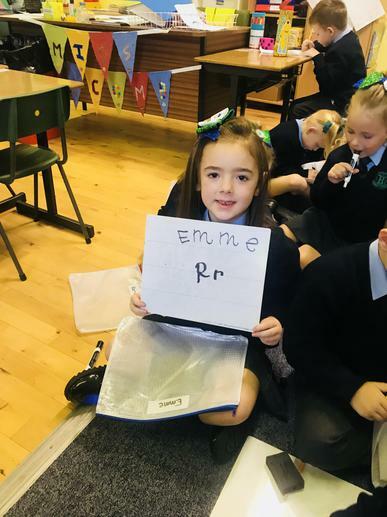 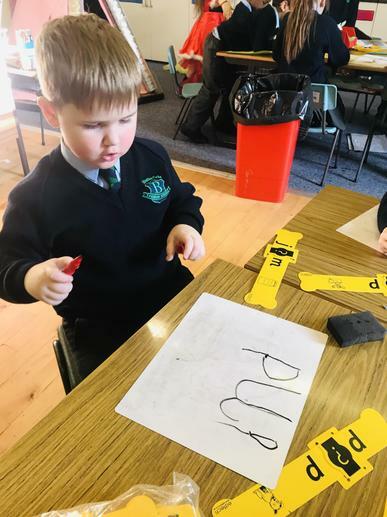 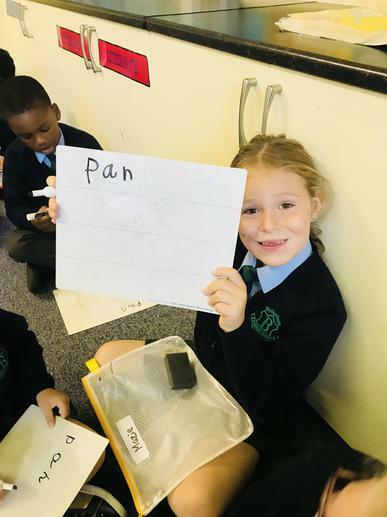 P2 have been working very hard at their sounds. 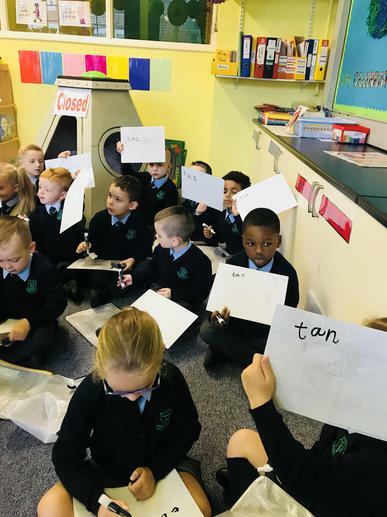 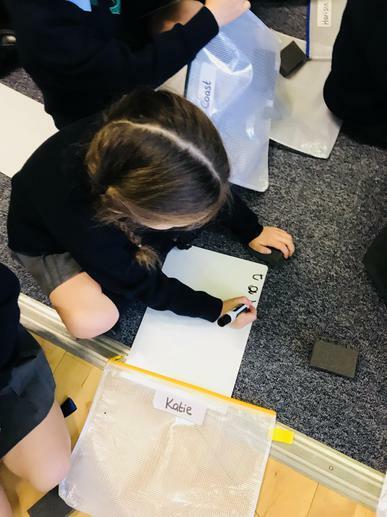 We have been sounding out and spelling some CVC words and thinking of rhyming words.